Irene A. Mierzejewski, formerly of Natrona, died Tuesday, died Tuesday, November 27, 2018, at the Willows in Oakmont. She was born in Natrona to the late Joseph and Clara Tatkowski Mierzejewski. She had lived in Natrona her whole life prior to moving to Westminster Place in Oakmont in 2015. Irene was a member of St. Joseph Roman Catholic Parish in Natrona. She worked at Liberty Mirror in Brackenridge, and prior to that, worked in several grocery stores in Natrona, including Shirley's Market on Walnut Street. Irene enjoyed baking, crocheting, talking walks and sitting on her front porch with her neighbors. She is survived by her niece, Karen (Fred) Jenniches, of Natrona Heights and by her nephew, Richard Mierzejewski, of Santa Fe, New Mexico; great nephew, Daniel Jenniches, of Wexford and great niece, Kelly Jenniches, of Natrona Heights. 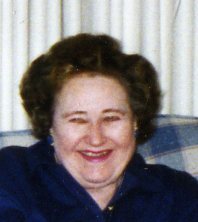 In addition to her parents, Irene was preceded in death by her brothers Chester and Henry Mierzejewski, and by her niece, Roberta Mierzejewski Paffrath. The family would like to give a special thank you to the Ladies of Charity of St. Joseph Parish. A Mass of Christian Burial was held on Saturday, December 1, 2018 at 9:30 AM in St. Ladislaus Church with the Rev. Andrew Fischer as celebrant. Burial was in St. Ladislaus Cemetery, Natrona Heights. Arrangements were under the care of the Cicholski-Zidek Funeral Home, Inc., Natrona Heights 724-224-8688. To send an on line condolence please visit www.cicholski-zidekfh.com.